Providing examples of the successful use of a CRM strategy can be very useful in illustrating the power of the principles, processes and supporting information systems involved. 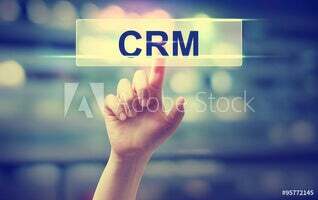 Here are some good examples of how CRM can revolutionise your business. All of these presume that all precursor work related to obtaining an integrated single customer view has been successfully completed. Understanding the total purchasing patterns and associated behaviours of your customers is critically important in helping to develop new marketing models and sales propositions to deliver to them. For example, knowing that one person is purchasing both your fashion and sports footwear might suggest that they would be receptive to targeted marketing relating to other types of sports equipment. Making decisions related to the total credit limit of customers purchasing from you is not always easy. Credit scoring can be a powerful tool to help but it may be less than totally effective in situations where you do not have a single consolidated customer view. For example, failing to identify a new applicant for credit as being someone you have previously had difficulties recovering debt from, simply because they had changed address, might restrict your ability to make an informed decision. The integrated single customer view is often a fundamental prerequisite of automated decision support systems of a type frequently associated with internet commerce. Contacting a customer or sending them a sales proposition can prove to be extremely embarrassing in situations where you have simply misunderstood the totality of your engagement with them. So, responding incompetently and incompletely to customer enquiries simply because you are not able to see the totality of their transactions with your organisation can be easily avoided. Remember that reputation damage can arise in situations where your sales staff are asking customers to explain to them just how they, the customer, are dealing with your organisation at the present time! Whilst an individual has a legal right to a degree of privacy, nevertheless, it might be exceptionally important to understand that somebody you are dealing with has some form of professional or personal relationship with another of your customers. For example, being able to identify that a customer has two young children resident at the same address might be important both in terms of marketing potential but also to avoid major embarrassment, such as sending inappropriate sales propositions to under-aged children. In the days of an ever-higher degree of environmental awareness, no company wishes to be sending out identical information and sales propositions multiple times to the same individual. Not only is this an environmental issue but also one relating to perceptions of professional competence. However, multiple customer entries for the same individual can easily arise due to legacy systems or departmental silos all having their own customer databases. De-duplication and CRM should eliminate this. More importantly, being able to consolidate all your sales and costs by customer, should help immensely with the sometimes thorny subject of customer and customer segment profitability analysis. Unfortunately, the media regularly covers stories concerning organisations trying to communicate with customers they should have known were long-deceased or continually addressing communications to a married couple that have been long-divorced. This is usually a characteristic of duplicated customer entries on different systems but occasionally also due to updated information in one system not being correctly populated into another. This must be addressed and that should eliminate negative publicity and occasionally customer distress. Although this should not be read as qualified legal advice, the data protection act (DPA) requires that people storing information about individuals ensure that it is accurate and up-to-date. A failure to do so may leave you liable to prosecution, particularly in circumstances where you have used incorrect data as the basis for flawed decision-making or related reputational damage. Acquiring new customers is useful but not if you lose them almost as quickly as you gain them. 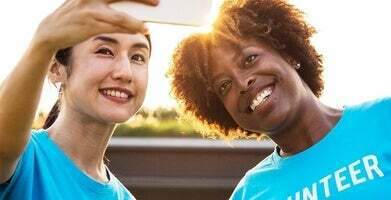 Understanding your customers in detail and avoiding service errors of the type outlined at various points above, should help you improve your overall customer service experience for them. It also allows you to engage in proactive customer servicing activities that might include things such as birthday greetings and so on. All of the above professional bodies may, in certain circumstances, expect you to be able to deliver an accurate segmented view of your customer base. CRM allows you to do this quickly and efficiently and it will make a much more powerful impact than the traditional non-CRM approach involving people trying to merge spreadsheets extracted from a multiplicity of different sources. Of course, maximising your share of wallet percentage with your existing customers is important but equally developing sales propositions to attract new customers is critical. Understanding what is or is not working with your existing customer base may be critical in product / service development activities and CRM should be an important part of the product development and new target marketing lifecycle. Some of the above concepts are not entirely easy to grasp and the difficulties in moving an organisation away from a conventional vertical silo approach to a horizontal CRM integrated view should not be underestimated. Mareeba, Amersham – formed in 2004 and providing full spectrum CRM services. Icreon, London and Bradford – a company specialising in CRM software solutions.